Did someone say shots!? 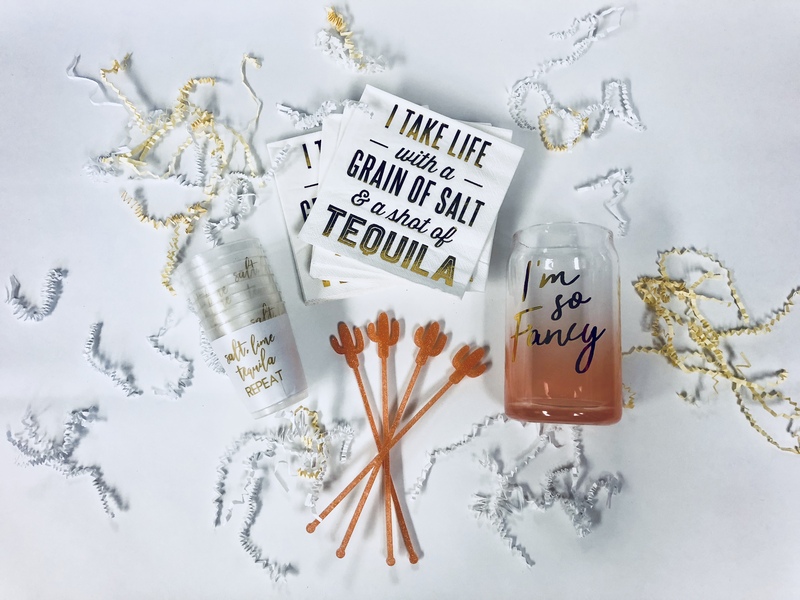 Perfect gift for your Tequila lovin’friend! Or just to keep for yourself! Cocktail Napkins, Frost Flex Shot cups, Cactus Cocktail Stirrers and a Cocktail Glass that says I’m So Fancy!